Often times, self-care products seem to be written off as creations for people who need an escape from the world. However, people suffering from mental illness who are reading the lists may find the suggestions themselves exhausting to accomplish. So we’ve created this list to help you when your cutlery drawer is empty, and you have no more spoons to give. 1. 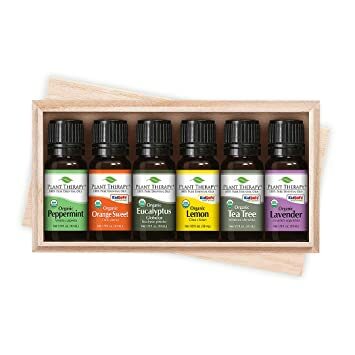 This essential oils set will get you started with exactly what you need to calm your breathing. The world of essential oils can get overwhelming for someone just starting out. You can use a diffuser to fill a room with scent or waft the open bottle under your nose to start relaxing immediately. One of my favorite ways to relax is to put a few drops of lavender oil at the bottom of your shower as you step in, and let the warm steam help ease your stress. 2. A cute planter, because having a little green friend nearby can help elevate your mood. It is a cute little planter. But it is small! It fits in the palm of my hand and I’m average sized. So don’t expect it to hold more than one plant – although it’s adorable to bring a pop of joy into the day. Get it from Amazon for $8.45+ (available in 43 styles). 3. This gratitude journal will give you a moment to reset your perspective. Taking a few minutes to think about what you’re grateful for can give you the opportunity to take a breath and try to center yourself. 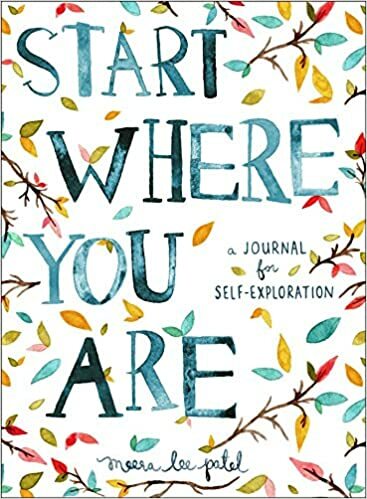 This gratitude journal is great because its prompts allow you to approach your world with intention. Take time to reflect on what you have room for in your life – think about what your goals are for today or the future. Get it from Amazon for $14.40. 4. A mini journal that will be there for you when you just can’t go to sleep. If I wake up in the middle of the night I write down whatever popped in my head that woke me up and how there’s nothing I can do about it at 3:37 am, so might as well go back to sleep. It’s weird, but it helps. Get it from Amazon for $11.00. 5. 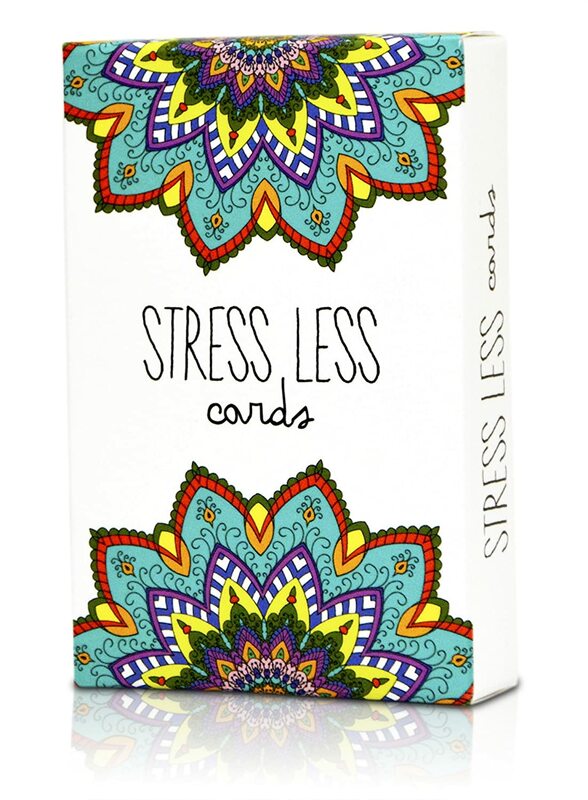 If your anxiety is taking over, these cards can be just what you need to redirect your attention. People with anxiety know what it’s like to feel the cascades – when you’re uncomfortable, then aware of the discomfort. There are days when all you need is to be distracted from that cascade. These are small, so you can keep them in your purse or backpack so they’re always accessible. 6. 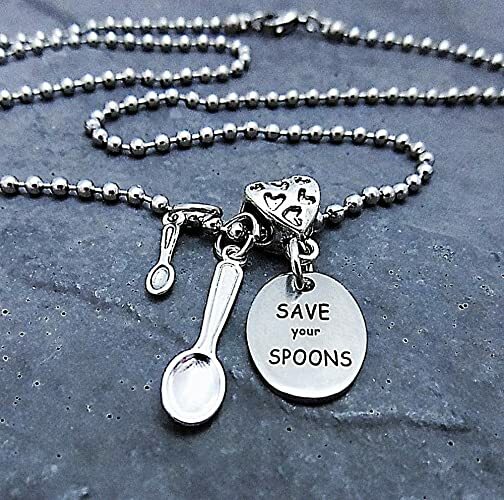 A beautiful necklace to remind you to take care of yourself, and to save your spoons for what matters to you. For those who are unfamiliar with Spoon Theory, this necklace might not make sense. The meaning behind this necklace is simple: Save your efforts for what matters to you. Your spoons, and whatever energy you’re able to put into the world, is priceless. 7. A fidget keychain to help you snap(pea) out of your stress fog. The faces on the beans are so cute that it’s just like a little anxiety friend popping up to say hi. That’ll keep you distracted and slowly bring you back to the present. Sometimes, it’s going above and beyond for yourself or simply committing to what eases your every day, so you can save your spoons for when you can be spectacular. Get a pack of three from Amazon for $7.99. 8. This beautiful spinning ring is here for you to fidget with whenever you need to keep your hands busy. Spinner rings (also called worry rings) are frequently used as a stress relief tool and are beloved by people with ADD/ADHD everywhere. They have also been used to reduce nail-biting and other bad habits by keeping your hands busy. Get it from Amazon for $7.99+ (available in sizes 4–12 and six colors). 9. A pack of assorted bath bombs so you can enjoy a good soak without feeling guilty about spending $100 at Lush. There are 200 possible scents and you get 10 with each package, so you can keep ordering and finding new favorites. Get a pack of 10 from Amazon for $18.97. 10. And a macabre patch that’ll come in handy when people are wondering what’s wrong with you. Because nothing is. You’re dealing with the cards dealt, and we all have to take care of the spoons we’ve been given. Self-care is different for everyone, and no one’s method of self-care is wrong. Just because your method of self-care does not include trips to the spa doesn’t mean your method is invalid. Period. Why do prisons punish women for their periods? My father stopped speaking to me. This is the real reason why.